This BlizzCon, our delightful Dan O’Halloran and malefic Mitch “Mitch” Mitchell sat down with Blizzard’s Alex Afrasiabi (World of Warcraft’s Senior Creative Director) and Patrick Dawson (Technical Director) and chatted about World of Warcraft. It’s a fine interview and worth reading in its entirety. But one particular part of the interview leapt out, grabbed me by the eyeballs and shook my face for several seconds, screaming pay attention to this part in a loud, thunderous voice. I have been covering World of Warcraft since 2007. I have been playing it since 2004. I cannot remember ever reading anything like this from anyone on the WoW dev team, much less someone as senior as Alex Afrasiabi. To be clear, this isn’t someone speaking off the cuff who works in quest design, this is the game’s Senior Creative Director, talking to two reporters in an interview at BlizzCon, knowing full well what he says is going to be reported. Up until this point I had dismissed every single time someone suggested that the end game for Battle for Azeroth was the end of the Alliance/Horde split. It seemed absurd to me. Yes, there have been repeated statements that this was the expansion that would finally deal with the Alliance/Horde conflict in a way that expansions like Cataclysm and Mists of Pandaria failed to do, but I had no idea what that meant, exactly — and I certainly didn’t think anyone at Blizzard was thinking about ending what they’ve described as the heart of the game. But let’s not go crazy reading what we have up there. Afrasiabi didn’t say There will be no separate factions after Battle for Azeroth nor did he say Everyone is going to be in a single faction. He said merely that he would prefer, if he had to choose, to not have a third faction divide players. 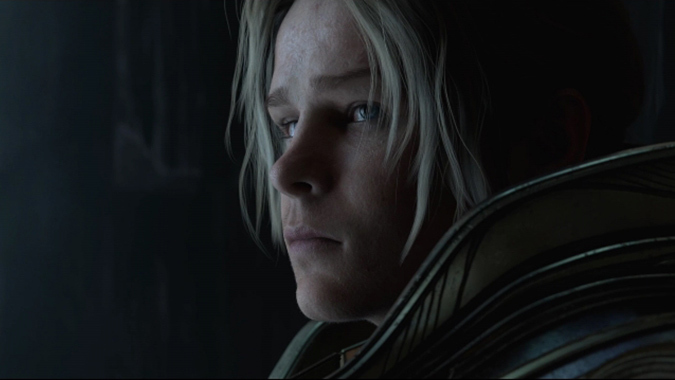 That he doesn’t want to break up established guilds or force people to not be able to group up who currently can. I think that’s a wise decision, but it’s a far cry from we’re going to all be able to group up together after Battle for Azeroth. What he said is significant — it’s the furthest I’ve ever seen anyone at Blizzard go towards the idea of possible cross-faction play — but it’s not them revealing the new Hordlliance purple lion banner. Seriously, though, imagine a purple banner with a big lion wearing a Horde symbol on its head as the new Hordlliance banner. Come on. You know it would be awesome. Can the gap be bridged? The significance of this statement isn’t just in the novelty of it, nor is it purely the fact that Alex Afrasiabi is in such a pivotal position to help decide the future for World of Warcraft, although both are true. Nor is it in the fact that this statement happened at a BlizzCon that, by necessity, had no actual news to share on the next WoW expansion — we got plenty of looks at what patch 8.1, 8.1.5 and 8.2 have in store and we know there will be at least an 8.2.5 and likely an 8.3 going forward. But we don’t really know what’s after 8.2.5, and so, Afrasiabi’s statement takes on a whole new importance because it is one of the few things we know is being thought about for the future of the game. There are various ways it could happen, of course. The easiest would simply be to allow Real ID/Battletag friends to group up cross faction and not really have much story to explain it. It’s just something you can do — your Orc Warrior has an Alliance Paladin friend because Dave, your buddy from work, swapped battletags with you and you can group up for dungeons and raids. It wouldn’t address the conflict in terms of lore, but it would let people group up more widely and not have to let faction choice keep you from playing with friends. But it feels like a wasted opportunity for the expansion that’s supposed to deal with the Horde and Alliance conflict once and for all. 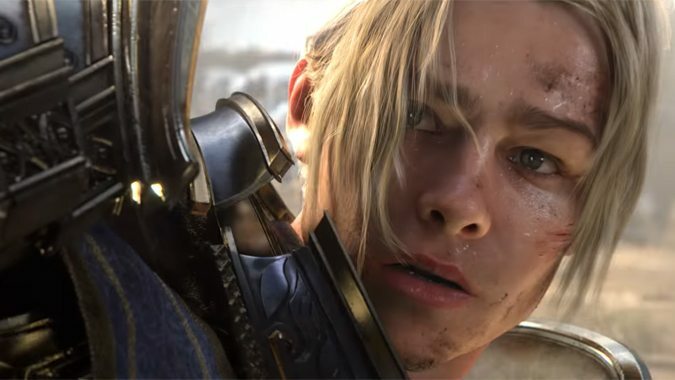 We saw Lost Honor over this BlizzCon weekend, a cinematic that showed Anduin Wrynn reaching out across faction lines to Varok Saurfang in an attempt to find a way to stop Sylvanas without sacrificing everything that makes each faction what it is, and it would be nice to see that reflected in game. 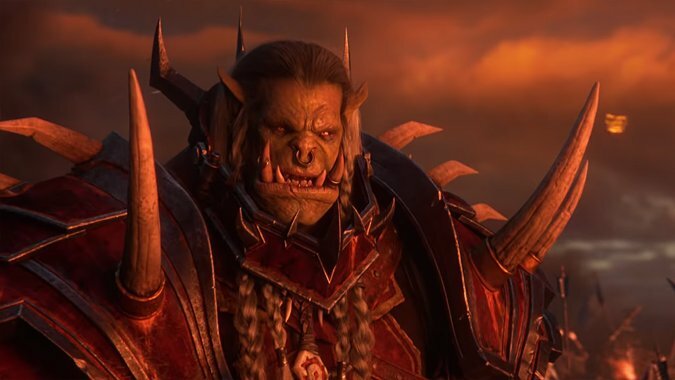 Saurfang once led an army consisting of Alliance and Horde soldiers against an Old God and his minions, and it would be somewhat fitting if, by patch 8.3, he was doing so again. I never thought I would even consider, after seeing Teldrassil burn and watching Undercity devoured by the plague, that we could have this concept — that we could ever have even the smallest concession to cross-faction play, much less the tantalizing possibility of an Azeroth where the Alliance and Horde actually managed to come together. Even if it was just baby steps — a detente, a negotiated peace, a few concessions to each other would feel almost like a miracle at this point. But it’s one that I can actually entertain now. Again, no one has promised anything of the kind. 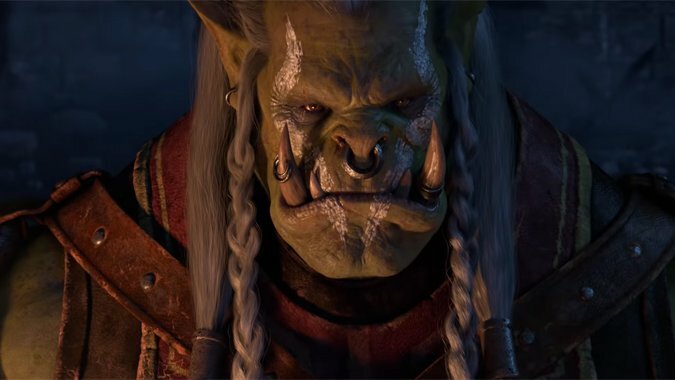 No one has said we’re going to be able to join up with our Horde friends in the next expansion, much less promised that we’re going to see a detente between the Horde and Alliance that could actually lead to the erasure of faction lines. But this is the closest we’ve ever gotten to someone at Blizzard saying I would like to see people able to group together regardless of faction and it feels like a huge statement to me.